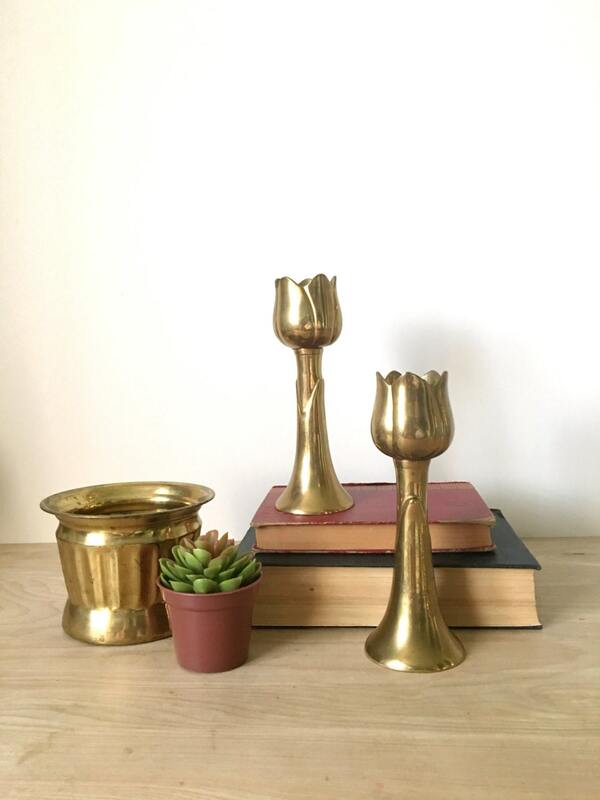 Lovely pair of brass tulip candle sticks. Gorgeous set is solid and sturdy. 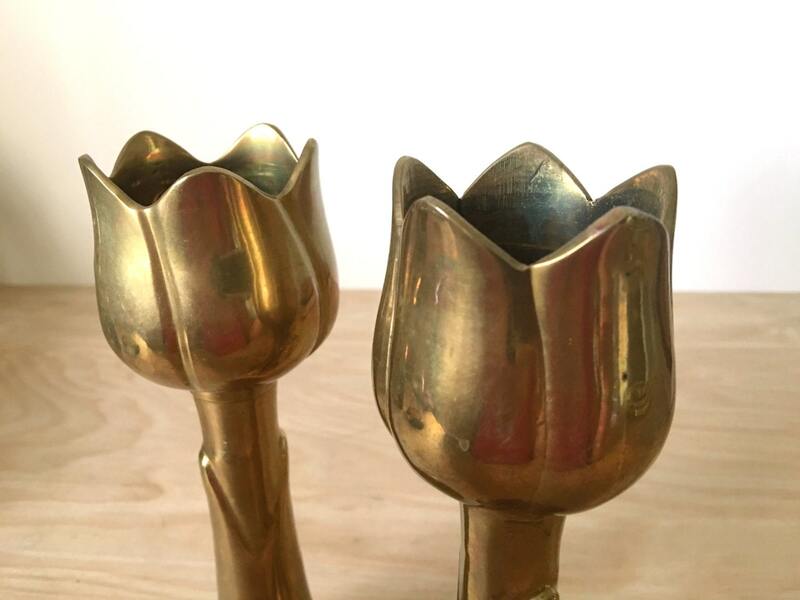 Great detailing with a realistic look of tulips. Good vintage condition with some light patina and oxidation.